I just read this article and thought you might want to give it a read, too. 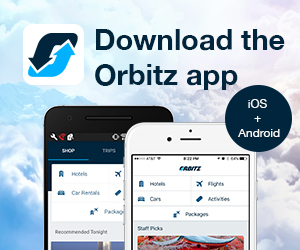 It\'s called 12 music-themed hotels that hit all the right notes and you can find it here https://www.orbitz.com/blog/2016/09/music-themed-hotels-rock-star/. Get your groove on at the Hard Rock Riviera Maya, part of the hotel chain that functions as both lodging and museum. This music themed hotel’s curated memorabilia adorns the walls at each property and live music is ubiquitous. The Hard Rock’s signature amenity program offers guests an all-encompassing hands-on music experience, including complimentary Fender guitar rentals for impromptu jamsessions, as well as DJ equipment. The Rock Star Suite, designed by Poison lead singer Bret Michaels, greets guests with a full-size glass cutout of the singer commanding a cheering concert crowd and a large display case showcasing his Taxicab motorcycle and rose guitar. 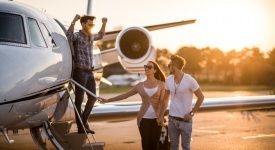 The 9,204 square-foot suite also holds a digital photo booth, private screening room, upper level DJ booth and bar, raised dance floor, converted-Camaro billiard table, cowboy hat display and bandana-influenced ceiling décor, all designed to show off the famed rocker’s individuality. This 1870s building is essentially four boutique hotels in one. Each of Aria’s four wings has a distinctive inspiration—jazz, contemporary, opera and classical music—expressed through décor and sound. 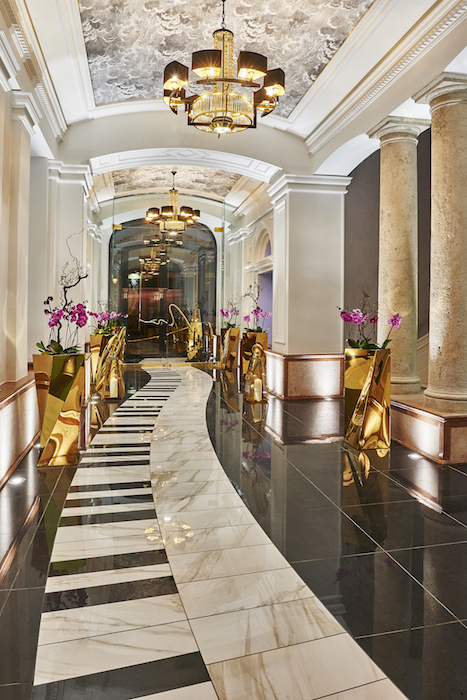 All 48 guest rooms and suites of this music themed hotel celebrate the sounds of one of the world’s great music legends and guests can access a music library via iPads and flat screen TVs elegantly presented within a marble fireplace-style mantelpiece. Czech artist Joseph Blecha was commissioned to provide caricatures of the music greats who inspire each room. Most rooms offer an open-air balcony overlooking the stunning glass-enclosed Music Garden courtyard. The High Note Skybar, the only year-round rooftop garden terrace in Budapest, offers unparalleled views of the city. Forget being sleepless in Seattle: At this downtown property, it’s all about singing in Seattle. 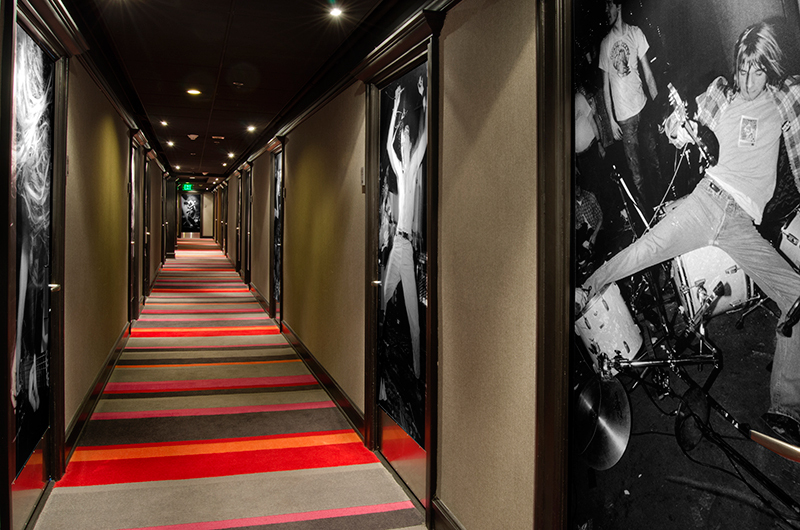 The 163-room Hotel Max houses an entire floor dedicated to independent record label Sub Pop Records, featuring large-scale black-and-white images on every guest door. In the room, guests find framed poster art highlighting the label’s current catalog including artists like Mogwai, Iron and Wine, Wolf Parade and Fleet Foxes. Throughout their stay, guests can choose from a collection of vinyl albums and give them a spin on Crosley record players. 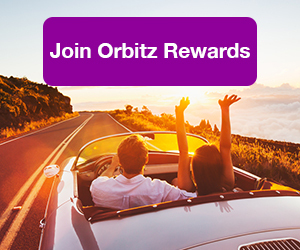 ALSO: The discounts available through Orbitz Rewards will be music to your ears. 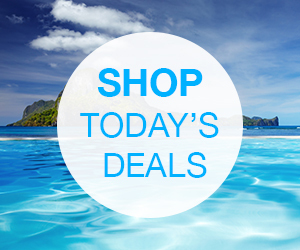 Aloft Hotels are known for global music programming. 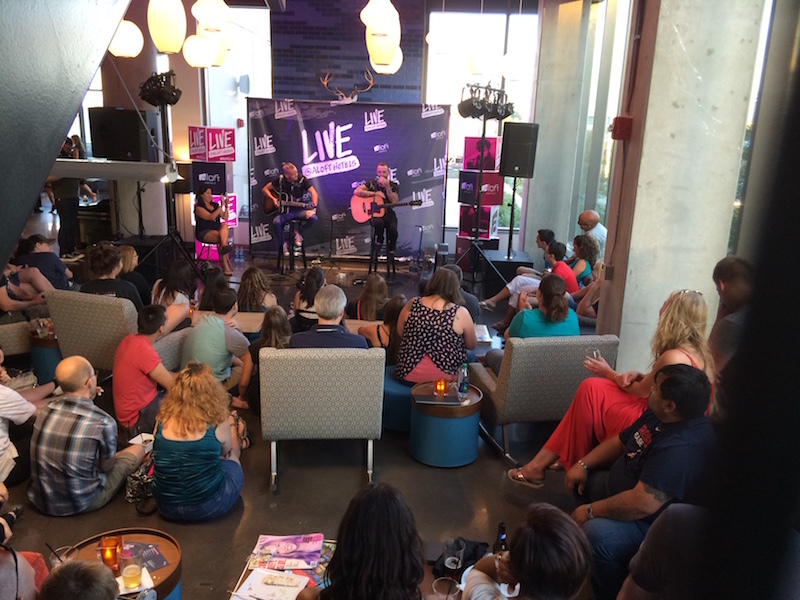 At Aloft Boston Seaport, up-and-coming artists are featured in its Live At Aloft Hotels program. The popular, no-cover acoustic sets feature emerging talent giving live, intimate performances in the W: XYZ Bar for guests and locals. Aloft Hotels also hosts the annual Project: Aloft Star global talent competition to discover music’s next big stars. The competition has partnered with MTV, NYLON and other music icons. 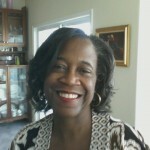 This music themed hotel’s owner, Jon Baker, is a record producer and music veteran who has worked with Queen Latifah, Doug E. Fresh, The Jungle Brothers and many others. Geejam is a hidden gem in Port Antonio, Jamaica, which makes it ideal for artists like Rihanna, Katy Perry, Drake and Alicia Keys, who have all recorded there. 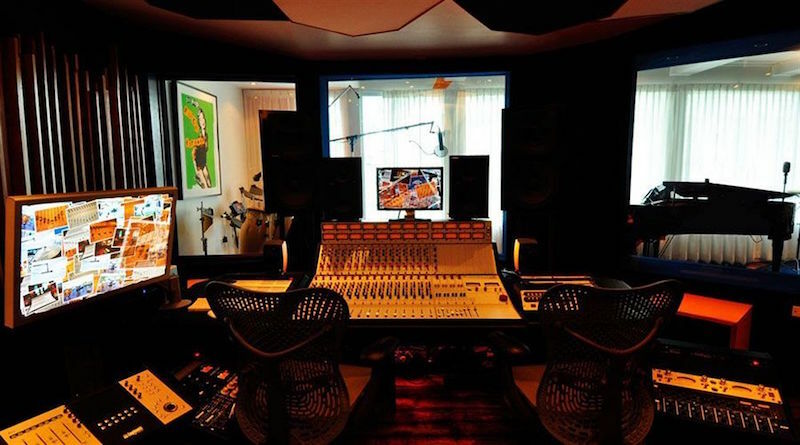 Guests can book time in the studio to do their thing or simply tour the facilities. Accommodations are named in tribute to the legacy of Jamaican music including ska, rock steady, mento and drum & bass. Beatles fans need not wonder where to stay in the Emerald City. Guests can sleep in the very same room where the Beatles once laid their mop tops. This is also where their iconic “fishing out the window” photo was captured, which features the band literally fishing out the window of the Edgewater’s now famous Beatles Suite. The luxe room includes fascinating portraits, memorabilia, Beatles history and music. With contemporary elements of dark metals, white glass, leather and designer lighting, this is the ultimate entertainment suitefor music lovers. As guests arrive at the Edgewater, the lobby offers breathtaking views of the Puget Sound and the Olympic Mountains. There’s also a “Wall of Fame” displaying famous rock ‘n’ roll legends the hotel has hosted over the years—think Pearl Jam, the Village People, Led Zeppelin, the Rolling Stones and more. At the W Scottsdale, a wake up call isn’t somethingyou get at 6am. It’s an actual music fest. The inaugural Wake Up Call: a W Hotels Music Festival (Sept 30–Oct 2) includes performances by Bebe Rexha, Cee Lo Green, De La Soul, Jess Glynne, Lost Frequencies and others, and will travel each year to different W Hotels around the globe. 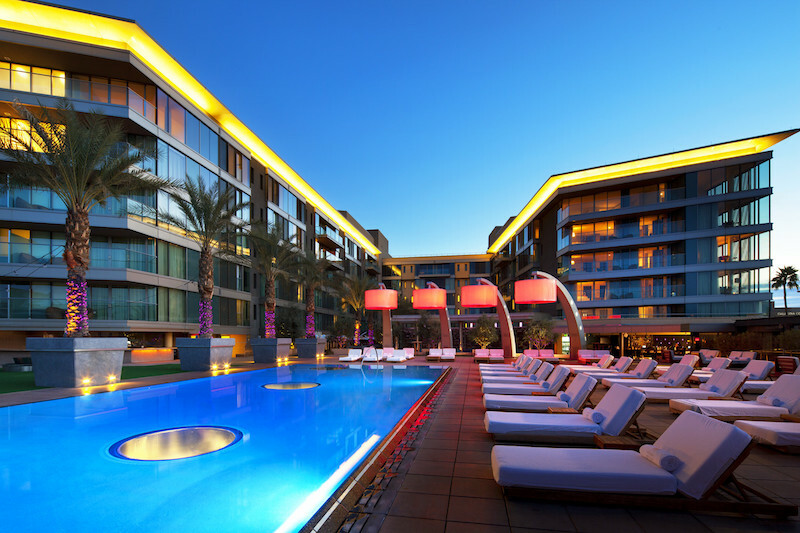 The festival isn’t just about concerts, but also pool parties at W Scottsdale’s WET pool deck, morning FUEL classes with POUND—a rockstar-inspired cardio drumming workout complete with mimosas and a pressed juice bar—VIP lounges and more. 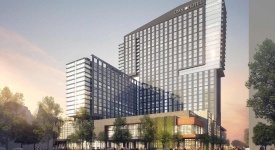 W Hotels also recently announced W Sound Suite music studios and is known for being a platform for emerging musicians. 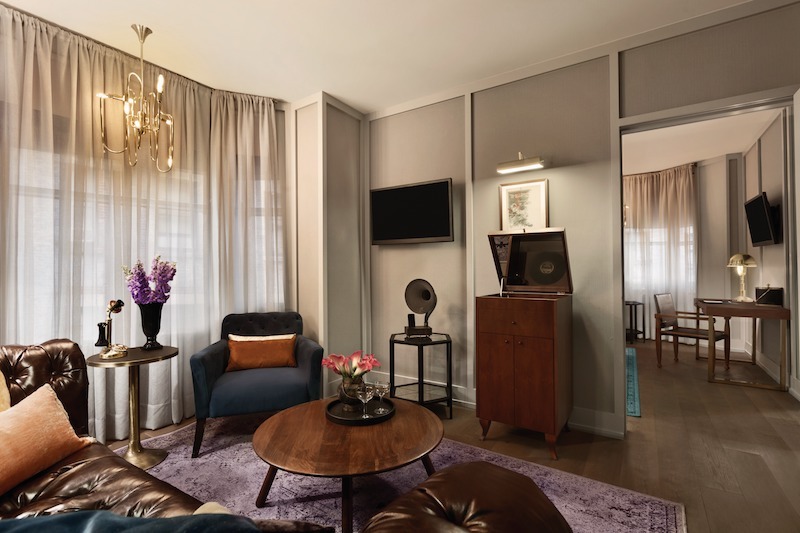 Check into the Evelyn in New York City and expect to find a gramophone on the side table in your suite so you can amplify the music from your smartphone. In the bathrooms, sheet music creates a subtle border of music notes and lyrics embedded in the tiles. The chandeliers mimic the shape of a trombone and the walls showcase a series of moldings that create different rhythms and compositions. The Goodland is all about music. 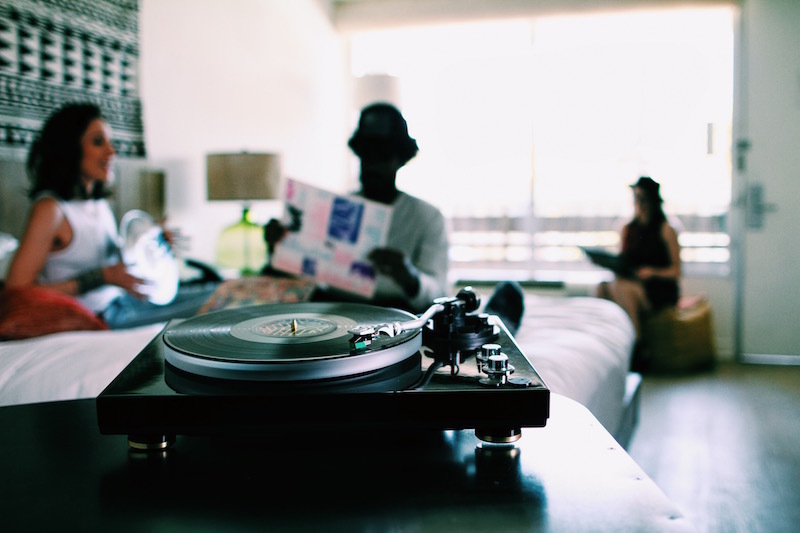 The SoCal hotel has its VNYL record shop in the hotel lobby, an on-site Record Concierge, record players in every guest room and a slew of music events featuring well-known musicians and local bands. The newly opened shop, in partnership with LA-based music discovery service VNYL, is curated to embody The Goodland vibe and is stocked with music from the 60s through the 90s. 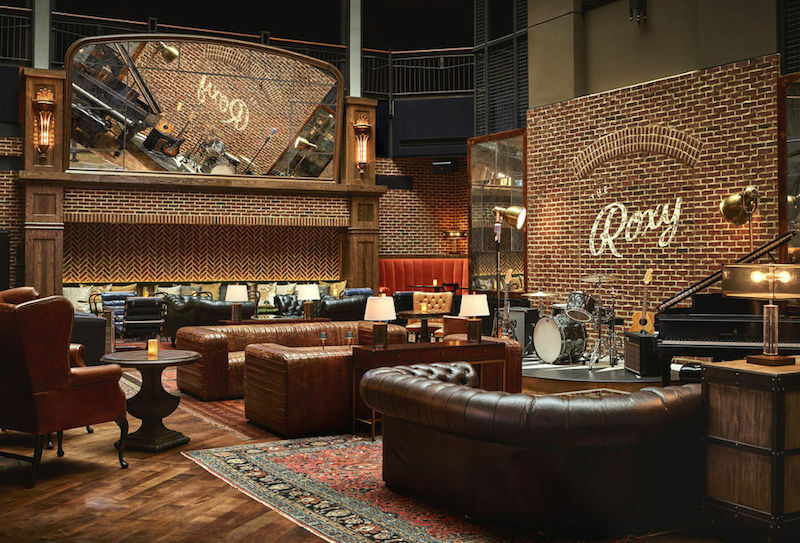 The Roxy Hotel in Manhattan completed a major renovation this summer. 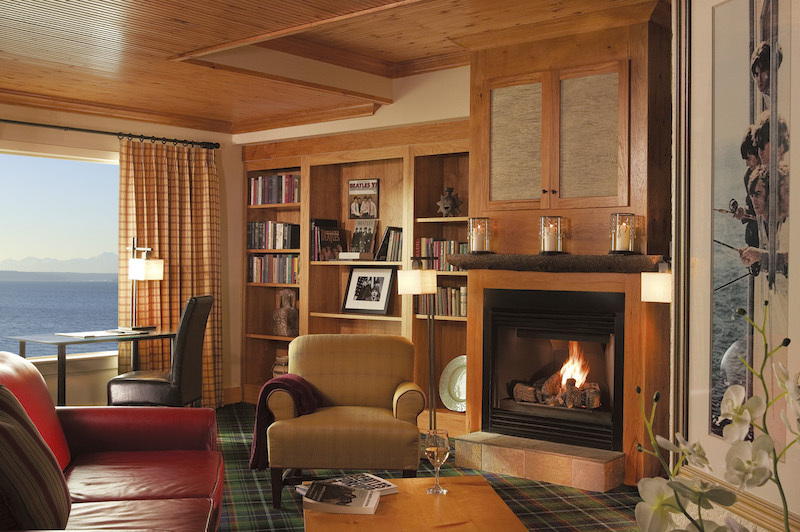 The redesign upgraded the hotel’s studio king and one-bedroom rooms so that they now feature Marshall Stanmore Speaker and Teac sound systems. Each of these vinyl-infused rooms come with select, yet varied, vinyl records chosen exclusively by DJ Alix Brown, including classics such as David Bowie’s Changes, Etta James’ At Last, the Rolling Stones’ Some Girls and The Beatles’ Revolver. Complete with a “how to guide,” guests can unwind in their room while spinning a few legendary beats amid the hotel’s “Mad Men” feel and subtle yet luxuriously sleek design. This Austin hotel is inspired by legendary singer-songwriter Townes Van Zandt. Every feature of Hotel Van Zandt is meant to deliver a uniquely musical experience. 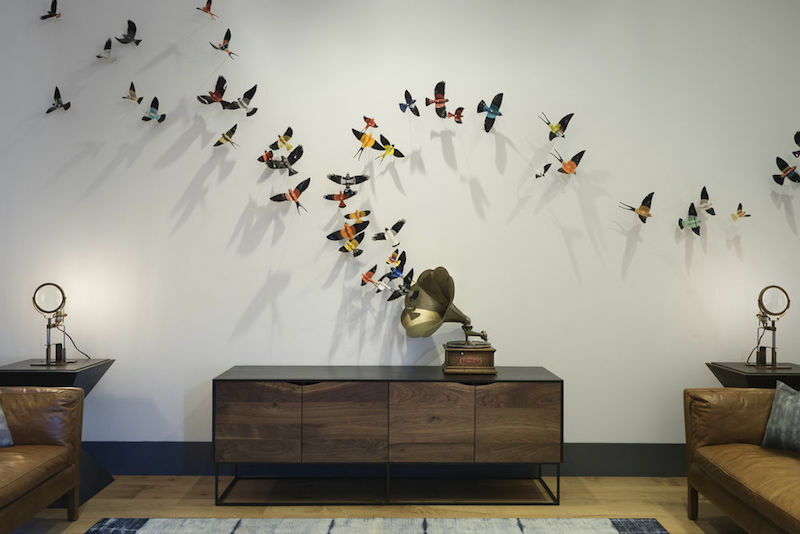 Playful notes of music-themed designs—from vinyl record birds to trumpet chandeliers—can be found scattered throughout the hotel while music fills the air in all its public spaces. 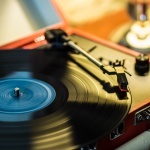 Guests staying in one of the Presidential suites have the option of listening to music from a record player or jamming to their own tunes with varying instruments available for use. There’s even an underwater playlist in the pool and the hotel’s restaurant, Geraldine’s, offers live music every night. N’awlins is famous for music, especially jazz. 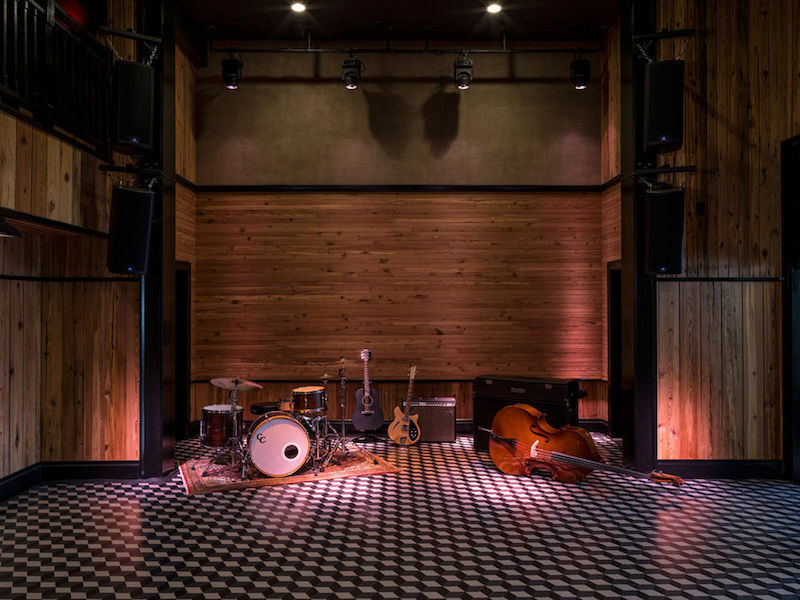 Visitors to the Three Keys, the intimate music venue at Ace Hotel New Orleans, will hear some of the best local and regional musical and cultural acts around, including many free performances that are also open to the public with an RSVP. Suite rooms feature a Music Hall turntable and an acoustic Martin guitar.